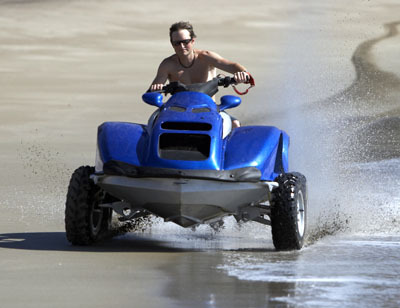 The Quadski from Gibbs Technologies Ltd, based in the UK, is the first commercialy available amphibious quad bike. The truly all terrain Quadski is capable of 50 mph on both land and water. 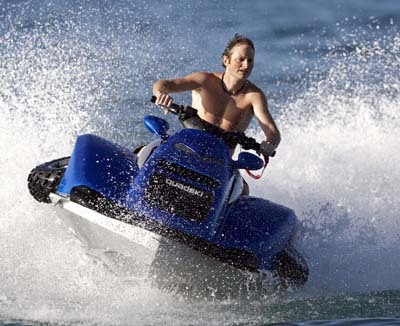 With over 60 patented elements making up its construction, the Gibbs Quadski converts from a quad bike to a jetski at the flick of a switch and the transition only takes 5 seconds. The Gibbs Quadski is powered by a 140 bhp petrol engine driving the wheels on land and a water jet when in the wet stuff. Far from just a toy, Gibbs see the rescue and emergency services potential of the Quadski.